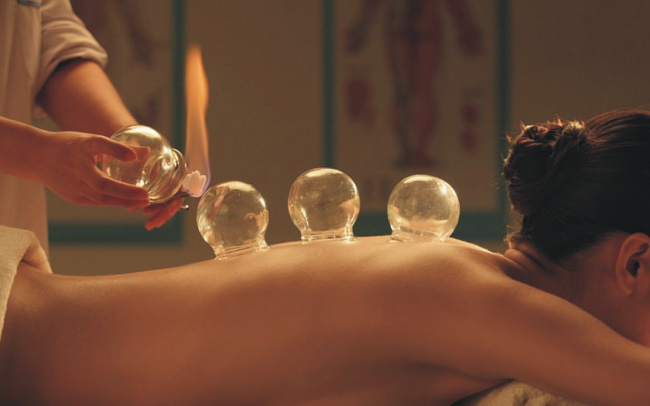 Fire cupping dates back to ancient Egyptian, Chinese, and Middle Eastern cultures. One of the oldest medical textbooks in the world, the Ebers Papyrus, describes how the ancient Egyptians used cupping therapy in 1,550 B.C. 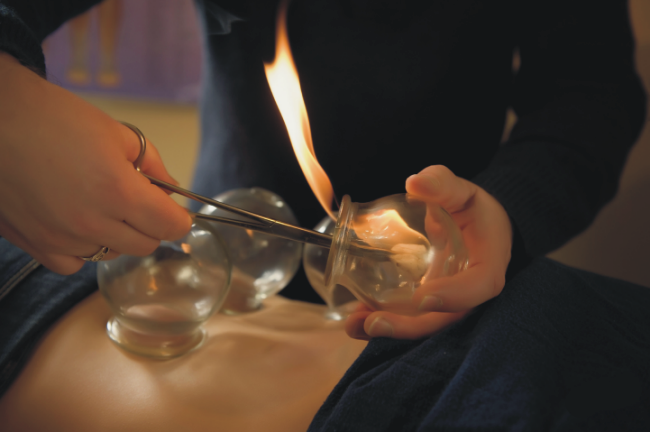 Fire cupping uses glass jars that have an ignited material (cotton balls soaked in alcohol, held tightly by a set of hemastats) placed briefly inside them to create negative pressure. The flame is then quickly removed and the jar placed over specific areas of the body creating suction. This pressure moves the Blood, Qi and fluids of the area raising a petechiae rash–that’s a good thing in this case. The rash itself is an assessment tool for the practitioner. Its color, how quickly or slowly it rises and how long it remains reveal how deep the pattern of disharmony is. For example a deep purple rash indicates stagnation whereas, a bright red rash indicates excess of heat. In some instances, like a very calming treatment, the cups may in a very light set, to not bring up the rash. Cupping removes toxins and improves blood flow through the veins and arteries. Especially useful for athletes is cupping’s potential to relieve muscle spasms.